Bowling ball weight is an important factor in your purchase selection process. If you are searching for a new ball for your own use, the first step in choosing the proper bowling ball weight is to consider which weight ball you use presently and why you think a change in weight will be beneficial. Normally, bowlers will choose a lighter ball weight as opposed to a heavier weight ball because it is easier to handle. If this is your main consideration, then dropping a pound might help. Since bowling balls are manufactured with very effective inner core designs and with varieties of coverstock materials, you can drop in overall ball weight and really not sacrifice much in ball control or impact power with the pins. If you are shopping for a ball for a senior bowler who is experiencing physical challenges or laboring with the present ball he or she uses, then dropping a pound or perhaps two pounds in bowling ball weight might be the best choice. With the kids a good rule of thumb, although not 100% perfect, is to match the ball weight with the age of the youngster. The main key here is to get what is comfortable for the bowler! 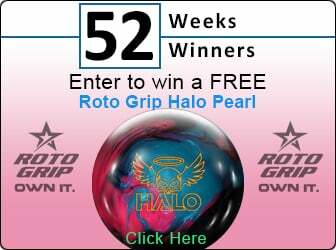 Bowling balls vary in a weight range beginning at 6 lbs for the kids up to 16 lbs as the maximum allowed weight. From 12 lbs to 14 lbs is the most popular choice of women and seniors while 15 lbs has surpassed 16 lbs as the popular choice among men bowlers. Also, you can find a selection of every model of bowling ball in today’s market available in a variety of colors, weights, and performance ranges for players of all skill levels here at our site. We offer selections in bowling ball weight to anyone who enjoys a specialty ball such as ones with flags, with baseball team logos, football logos, auto racing or other novelty covers. Bowling balls make excellent gifts for birthdays, for holidays, or for merely introducing someone to the game. Bowlingball.com has become the No. 1 “e-tailer” of choice by the consumers of America. Ordering is an easy process by following simple online instructions or merely call us at (888) 265-2695 and one of our sales associates will be available to assist you! Thanks for visiting bowlingball.com.